Food in Portugal is a serious affair. 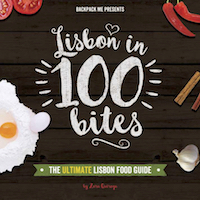 While the world may be busy discussing what historical landmarks deserve to be among the 7 Wonders of the World, my country keeps itself busy highlighting the 7 Wonders of Portuguese Gastronomy. For a tiny country, Portugal seems to be very particular about its food. Depending on what part of the country you come from, you may argue that our famous custard tart is called Pastel de Belém, Pastel de Nata or even Natinha. Portuguese give extreme importance to its traditional food products: cheeses, charcuterie, extremely fresh fish, grass fed meats… whatever you choose to eat when you travel in Portugal, and as long as you’re not vegan, be rest assured that you will be well-fed! Translating Alheira de Mirandela into sausage sounds unfair to me. This sausage look-a-like is made with an amalgamation of bread, wild bird meat, spices and olive oil or lard. Invented by the Jews of Portugal back in the day, this is how alheiras came into existence. 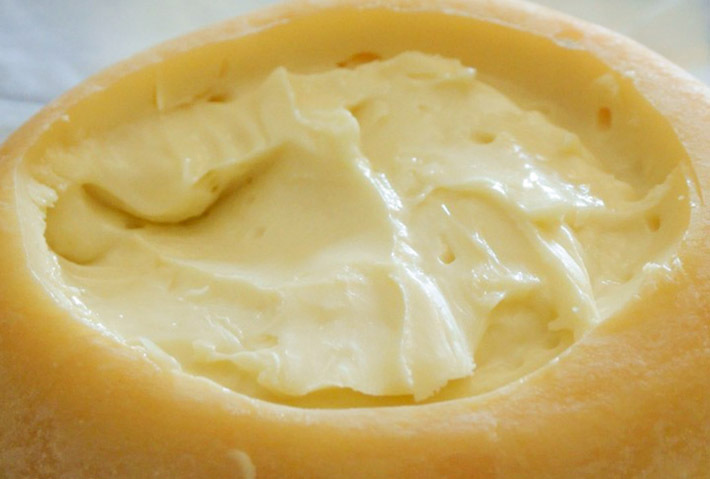 One of the most popular dairy products in Portugal, this runny strong cheese comes from around the highest mountain in Portugal, of the same name. Serra da Estrela is a denomination of origin cheese made with sheep milk and enjoyed in Portugal for over 5 centuries. 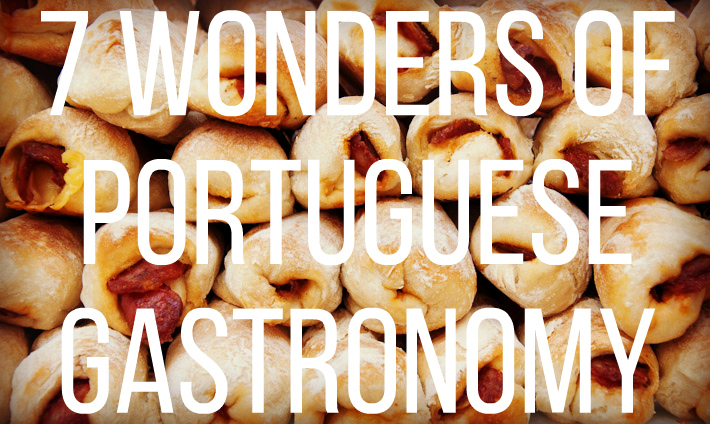 With such a long tradition, it’s no surprise to see it featured among the 7 Wonders of Portuguese Gastronomy! 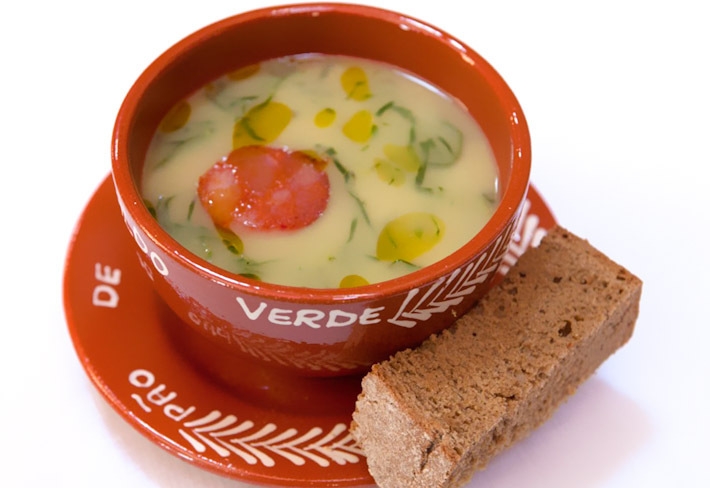 Originating from the North of Portugal, Caldo Verde (that translates into Green Soup) is a simple yet iconic soup made with potato puree as base, and shredded cabbage in between. On the serving plate, a slice of Portuguese chouriço sausage is added for extra flavor, even though it’d be safe for vegans if one were to skip this step. 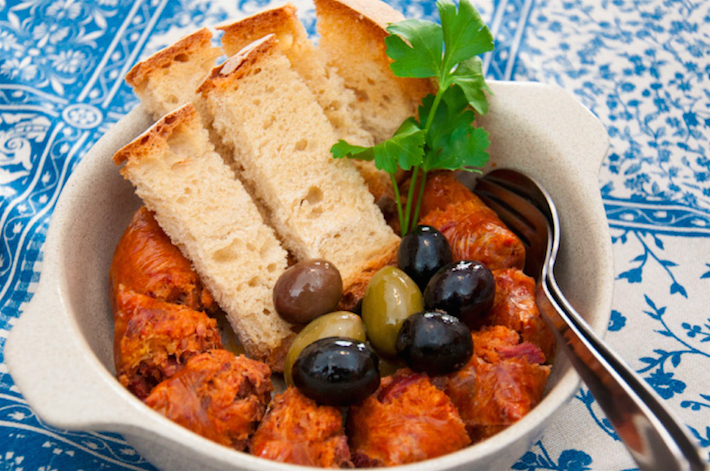 This is comfort food, Portuguese style! If Spain has the famous Paella, Portugal has Arroz de Marisco. Don’t be fooled (by some touristic restaurants in Lisbon), these two dishes are worlds apart. 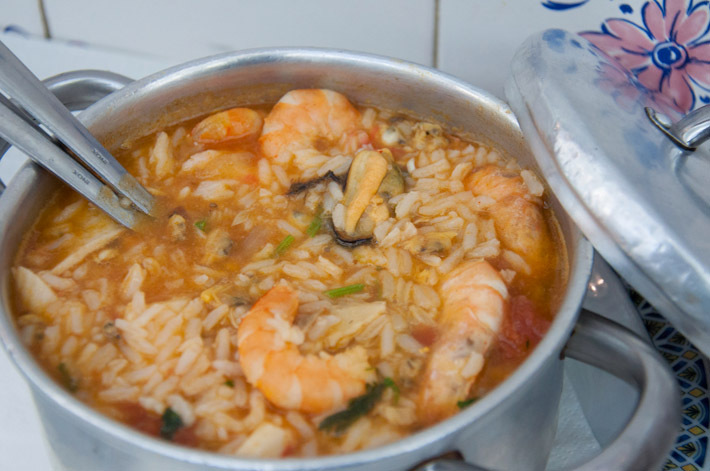 Seafood Rice in Portugal is a saucy preparation that features the best of the nearby ocean: prawns, clams, mussels, crab, lobster and other assorted seafood items depending on the catch of he day. Cooked in a runny tomato based sauce, the rice absorbs all the goodness of the sea. One may think that this is a too simple of a dish to be included in the 7 Wonders of Portuguese Gastronomy. 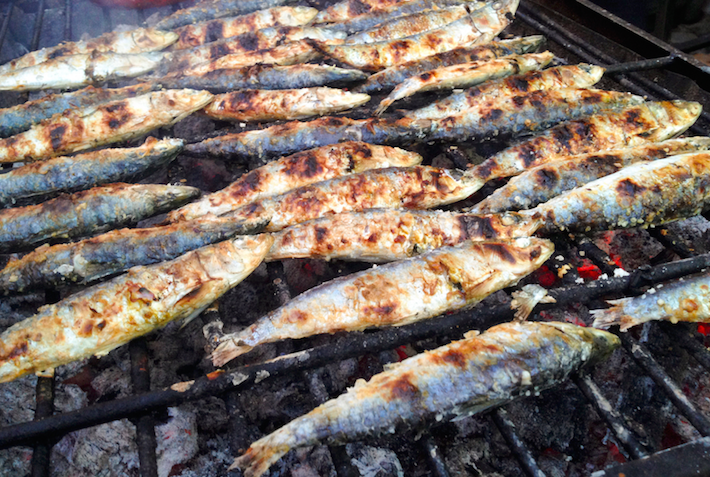 But Sardine BBQ is one of the most quintessential Portuguese meals, specially around Lisbon and its nearby coastal areas. Available during a very limited season in warmer months (skip sardines during the rest of the year – they’ll be frozen! ), Portuguese people wait eagerly to rub these beauties generously with rock salt and place them on a sizzling grill over charcoal. Fresh sardines, a good slice of bread and a glass of wine – it doesn’t get much more Portuguese than this! If there is a meat dish the Portuguese seem to be willing to travel for, that is Leitão da Bairrada. 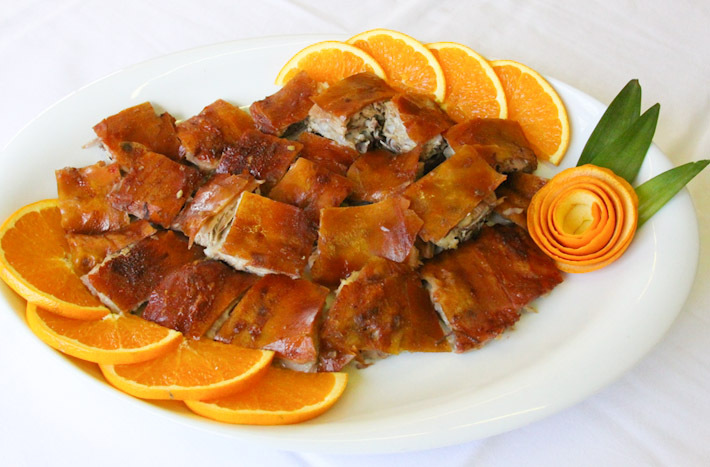 Suckling pigs are often roasted all over the country, but those from the area of Bairrada have reached an almost mythical status in the country. The tender meat is simply marinated with salt and pepper paste, while the wood oven guarantees a smoky crispy skin, that doesn’t let the juiciness of the meat escape. If there is one item of Portuguese cuisine that both visitors and locals agree deserves to be highlighted, that is the ultimate sweet in Portugal: custard tarts! 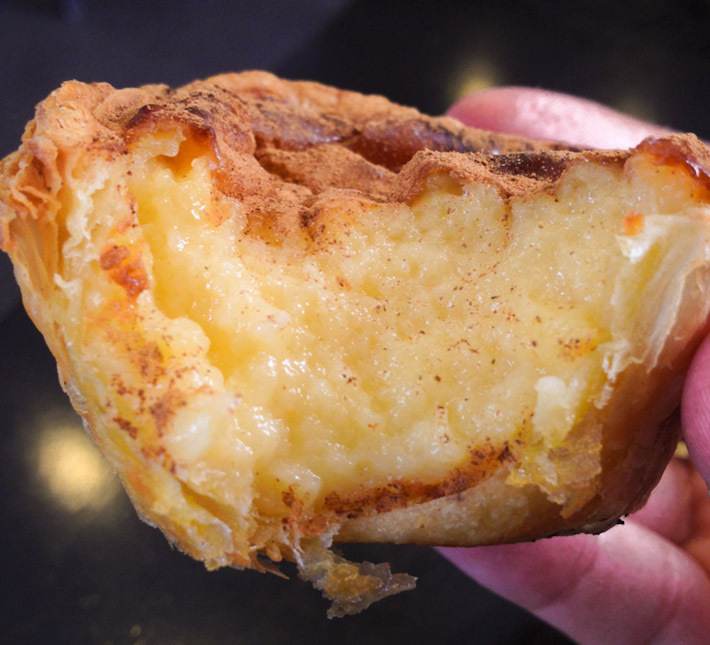 With a thin yet crisp outside layer, what makes a good Pastel de Belém is the ridiculously creamy interior. Sprinkle with a little powdered cinnamon right before you bite and enjoy your trip to heaven! 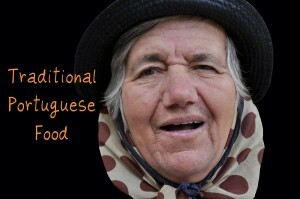 If Portugal’s national pastime is eating, discussing food comes a close second! Even though the list above was voted in by citizens of the country, that doesn’t mean everyone was happy with the results. Yours truly, for example, wouldn’t have gone for the Suckling Pig, and would have definitely included a Salted Codfish or Octopus dish. But, everyone knows, taste is a very subjective thing… and 7 slots are not enough to highlight the vast deliciousness of Portuguese gastronomy. 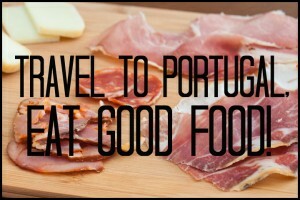 Have you tried Portuguese cuisine before? What are you favorite foods? I need PASTEL DE BELÉM in my life!! And that soup looks perfect for a cold winter’s day! I might skip the sausage, but the soup looks scrumptious! Could not agree more. 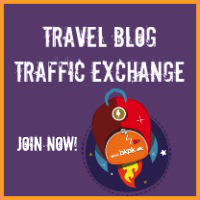 Portugal it’s one of those countries where your holidays can be filled with great food great wines and amazing landscapes not to mention people and weather. A small country with lots of surprises. 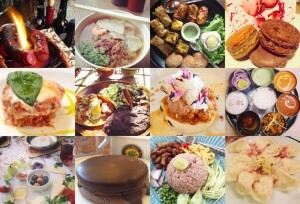 Though I have tried half of the items, the other half are totally unheard to me. Thanks for putting this together. But I am bit sad not seeing the Francesinha make it to top seven! Oh gosh, this post has me drooling in front of my computer! !